If you're on the lookout for some artsy pieces or simply want to upgrade your home decor, this store will put an end to all your woes. 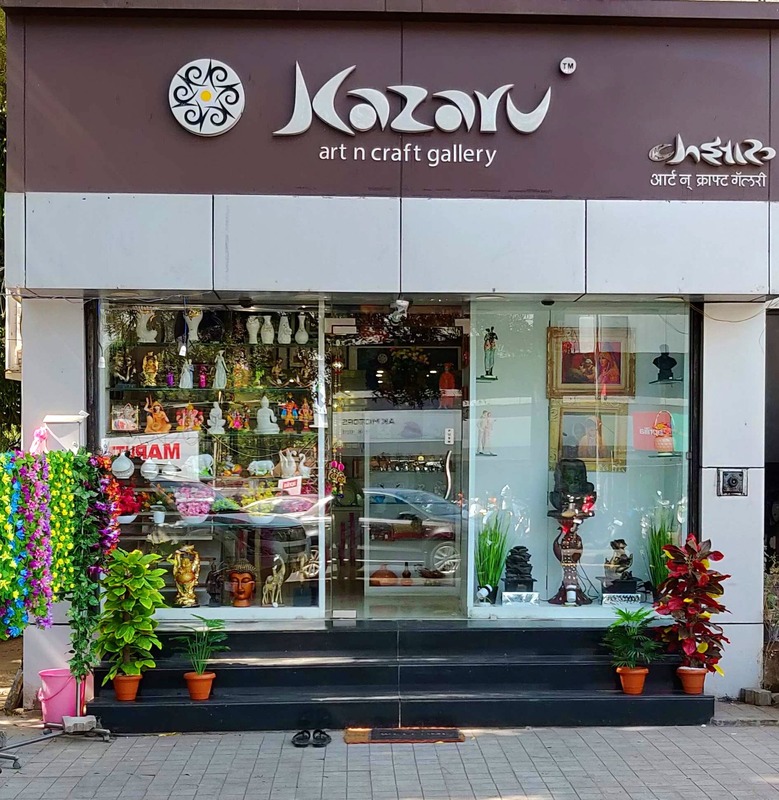 Located in Baner, Kazaru Art and Craft Gallery is a hidden gem for all your decor and accessory needs. Be it wall art, photo frames, figurines or even indoor plants - there is just too much to pick from! Starting INR 2,850, they have a beautiful collection of paintings too. FYI, they even have a replica of Mona Lisa (gasp!) Hanging these would definitely add that kitschy charm to your walls! You could also choose to adorn your photos on your walls. Their wooden frames come in various shapes and sizes and will perfectly fit your closely held moments within a frame. We highly recommend you pick up their decor plants and flower vases. Available in various hues, they will surely add that splash of colour to your homes! They have an equally impressive selection of cutlery. Starting INR 1,990, you can enrich your dining table with their fancy cutlery sets. And, their collection of slippers, clutches and purses that are also worth checking out. Since the store offers plenty to choose from, one can easily miss out on some products. Keep your eyes open, folks!